Looking for an Amish shed in Maryland? Amish craftsmen create sheds in a wide range of styles and designs. You can find wooden and vinyl sheds at locations throughout the Old Line State. Residents of Baltimore, Germantown, Silver Spring, Waldorf, Annapolis, Columbia, Bethesda, Hagerstown, Towson or other cities can find a dealer o f Amish-crafted buildings nearby. A sizeable Amish population can also be found in the southern part of the state. Amish Customs‎ is a Baltimore-area family-owned and operated business that provide a vast array of products made by skilled Amish craftsmen including sheds, gazebos, stables, run-ins and bridges. Sheds available in a broad choice of styles including Gable, Cottage or Barn; Manor design-vinyl with stone facing, Cape Cod with brick, Quaker porch, two-story grand rapids-vinyl, and many more. A variety of roof, paint colors and window options available as well. Creative Outdoor Sheds carries a vast array of dormer sheds (with a unique roof line), Quaker sheds (available in hundreds of color, trim, door and shingles options), mini-barn sheds (traditional-look), economy sheds, two story sheds, and more. Each piece of their products is made from best-quality wood or vinyl which makes them durable and built to last. Creative Outdoor Sheds features a broad choice of window, roof, door, floor, wall or shingles options that can be customized to any needs. Located south of Baltimore. This store carries Amish-made buildings including sheds hand-made by skilled woodworkers, available in a variety of options and made using top-quality materials. Twin Locust Barns at Gunpowder Falls retails a wide range of products, made from the best-quality materials (woods such as southern yellow Pine and rough-sawn Oak; and vinyl) including sheds, garages, barns or gazebos. Each piece of their items is Amish-made, durable and built to last. A vast array of styles and options available. Northeastern Baltimore area. Amish built sheds, gazebos, and more. Buildings built on site by an Amish crew. Located southeast of Baltimore. Beiler’s Structure & Lawn Furniture offers a broad choice of products made by Amish woodworkers. Their sheds selection is available in dozens of options such as different paint colors (dark gray, belmont blue, hunter green, buckskin, red, cream), vinyl trim colors, vinyl siding colors, shingles options (weatherwood, earthtone cedar, dual brown, or forest green), windows and shutters choices. Amish-made sheds include the backyard A-frame, backyard Hip Roof, Quaker, Cape, Carriage, or Dutch and many more. Located a short drive north of DC. Amish-built wood and vinyl sheds, garages, workshops, lawn furniture, dog houses, swing sets, and gazebos. Southern side of Washington, D.C.
Alan’s Factory Outlet has been in business for over 20 years; providing Amish sheds from different manufacturers. Amish built products number dozens of types including wall barns, mini barns, play houses, carriage houses, traditional cottages and more. The shed selection covers peak sheds (with vinyl, duratemp or shiplapped side entry), Victorian and hip roof sheds, available in a vast array of color options. Window and roof customizations also possible. Everything Amish is a large Amish furniture dealer. They sell a range of products, all handcrafted and built to last by skilled Amish woodworkers. A broad choice of Amish sheds numbering several different design such as Cottage, Dutch Barn, Cottage with Dormer are found within their catalog. A vast array of siding, trim and shingles options are available. The company’s Amish-made sheds feature a variety of door, floor and window options as well. Shed King features Amish-crafted sheds in a broad choice of styles such as mini-barn, cottage shed or big-barn style, available in several different options including doors, vinyl type or lofts. Pop’s Market features an extensive choice of Amish-crafted products for your home, business, farm, yard or garden, including furniture and gifts as well as Amish-built vinyl sheds, gazebos, wishing wells, windmills, lighthouses, trellises, playhouses, animal shelters, dog houses, cat houses, chicken coops and many more. Their broad choice of sheds come in a variety of styles, paint colors or roof options. Each piece can be customized to any needs. Backyard Billy’s offers an extensive choice of Amish-made outdoor buildings and products including swing sets, gazebos, playhouses, lawn furniture and more. A range of sheds is available in a variety of styles such as the mini-barn, Cottage, Classic or Quaker. Amish-made sheds come with door, floor options, siding, trim and shingle colors. Each piece is made from the finest materials with special care taken over every detail. T J Farms offers a broad choice of Cape Cod or run in sheds, barns, Quaker sheds, garages, gazebos, mini-barns and more. Amish-crafted sheds come in various options. Stoltzfus Outdoor Living specializes in outdoor products perfect for your garden or yard. An impressive selection of shed styles is available. Each piece is Amish-built and can be customized to any specifications. Broad choice of storage sheds among different Amish outdoor products available. Homestead Custom Sheds provides various styles and designs of sheds including Cape Cod, Dutch barn, Saltbox, or mini-barn. Amish-crafted sheds are made from the finest materials which lends them durability. Numerous window, siding or vinyl color options available. Tri State Gazebo & Sheds provides Victorian, Gable, Cape Cod, Cottage or Southern Belle sheds, available in a variety of trim, vinyl or siding colors. A broad selection of floor, window or wall options available as well. Maryland residents: Please be sure to double-check opening hours of Amish shed dealers here. Business locations and availability can change; Amish-owned businesses closed on Sundays while non-Amish shed dealers may be open. Not responsible for changes to the above. Sheds have become a key part of the Amish manufacturing sector, which includes furniture, cabinets and other handcrafted goods. Amish businesses thrive in many communities across the country, including in Maryland, where they are found in 3 locations. The largest Maryland Amish settlement by far is located in southern part of the state in St. Mary’s County, in the vicinity of the town of Mechanicsville. With over 1,000 Amish living in this community, you’ll find a number of woodworkers and craftsmen among the local Amish population. Amish businesses are centered around the small-scale, and embody Amish values of simplicity, efficiency, and an aversion to waste. Amish builders of sheds and storage buildings certainly fit this mold, one reason their products are typically high-quality and a good value. Amish craftsmen involve their families to large degree in shops typically found on the home property and usually employing less than 10 people (often other Amish though non-Amish as well in some cases). Storage buildings, sheds, garages, gazebos, pavilions, and mini-barns are among the many products crafted in the mom-and-pop operations run by Amish in Maryland and across the nation. If you’re looking for an Amish made shed or other storage building in Maryland, you have a number of options. Some buyers prefer to purchase direct from the source. Some Amish shed manufacturers do sell retail. Amish shed makers may be found in-state; however the thriving Amish community of Lancaster County in nearby Pennsylvania is home to numerous shed makers and may provide a better option depending on your location in the Old Line State. Alternatively, many Maryland residents prefer the convenience of buying an Amish-made building via a non-Amish retailer. 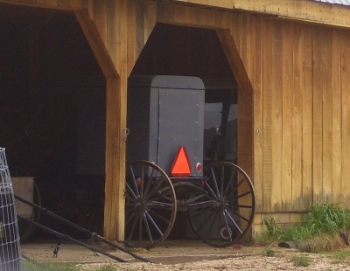 There are numerous sellers of Amish sheds in the state, which can be found at 20+ locations. Buying through a retailer offers convenience and a wide selection of sheds in one place. A final option is to buy an Amish shed online. A number of dealers sell Amish buildings over the internet and provide shipping throughout the United States. Many Amish shed sellers even deliver and place the shed in the customer’s backyard. We purchased a shed in Boonsboro Md a few years ago and went over there yesterday to price another shed, and it does not look like the same company. Do you know where they moved to. A few years ago I talked to someone about replacing the doors on my amish shed. I thought I was talking to an actual amish business and they gave me a price of $350.00 which included installation. Now I can’t find them and don’t remember the name of the business. I live in Riva, Md. (adjacent to Annapolis). Can you recommend someone that can do this or do you do that kind of thing.